Ducks are found nearly anywhere. But some areas, typically located along the migration routes or wintering stations and offering a particularly good combination of water, food and shelter, attract amazing masses of waterfowl, and draw hunters sometimes from thousands of miles away. The prairies of American Midwest and the Saskatchewan and Alberta provinces of Canada, coastal areas of Texas and Louisiana, coastal marshes of Europe and the duck-filled skies of Argentina are only some of the legendary locations for duck hunting. Azerbaijan, with the Caspian Sea coast that attracts wintering birds from a large part of Russia and Kazakhstan, should also be mentioned. Many duck hunting offers start at $200-$250 a day. Considering that for that price you get the use of the guide’s blind, decoys, usually retriever and often boat, not to mention expertise, it is a great bargain well worth the investment. The price may go up to $2,000-$3,000 depending on the usual factors such as trip duration, abundance of game, and whether food and lodging is included. You may see duck hunting trips priced at $10,000 and more, but these prices are usually for a team of up to 12 hunters. In general, duck hunting is perhaps the most affordable way of hunting the world. Waterfowling traditions around the globe are rich and varied. While in most countries spring seasons and use of live decoys are forbidden, the special spring season that exists in Russia and a few other Eastern European countries is a notable exception. Read more about this and other old traditions of bird hunting in Russia. Waterfowl seasons generally occur in the autumn and winter, when the birds have finished raising their young and are migrating to warmer areas where food conditions are more reliable. The best time for hunting ducks is in the peak of the migration, or just after the flocks arrived at their destinations. When in unfamiliar territory, ducks rely on other ducks to locate the prime feeding grounds or shelter and are easier to attract by decoys and calling. Local ducks can be hunted during special summer seasons, with its peculiar set of challenges and thrills. In most cases duck hunting is carried out from the blind, positioned over a body of water where the birds are likely to seek food and shelter, or so as to intercept the birds during their daily or seasonal movement. The latter case is known as pass shooting, and is commonly done using improvised cover provided by local vegetation. Some hunters also jump-shoot ducks by wading or hiking along a creek bottom, or try to approach them in a canoe, a punt, or a specially designed duck boat. Big-time duck hunting at migration routes or wintering grounds typically requires a considerable investment in gear (decoys, clothes, waders, etc. ), and calls for much knowledge, experience, and skills in calling and setting up a realistic decoy spread. A hunter who wants to find out is duck hunting is for him or her is strongly recommended to start with an experienced and reputable guide. The delicious flesh of the wild duck and the amazing numbers of birds allowed many peoples in the past to stock up their larders to last many months. While this is no longer a necessity, and most practices of pot and market hunters have been long banned to protect waterfowl, the pursuit still remains among the most interesting and exciting kinds of hunts. Duck hunting addicts spare no time nor money for travel and gear to satisfy their passion, and a quest to collect every species of duck legal in North America may be every bit as challenging as any big game hunting slam. Avid waterfowlers are lucky, as their passion allows them to hunt the world without spending top dollars. Duck hunting around the world is suffused with camaraderie and tradition, and there is no finer way to experience a sunrise than from a duck blind, surrounded by the sounds of whistling wings and the sight of colorful drakes heading in to land among the decoys. Join us on a hunt of a lifetime in North Texas and South western Oklahoma. Hunt starts morning after arrival day, we offer 1-3 day hunts. 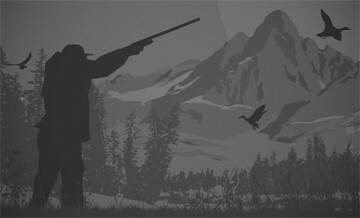 Minimum of 4 hunters.Maximum of 10 hunters. Tornado Country Outfitters-Call Evan Stabolitis at-843-621-3827 or email: estabo@tornadocountryoutfitters.com for your opportunity to make unforgettable memories with friends and family.